Storage makes NEMoGrid one of the most complete blockchain pilots to date. An alliance announced in March could result in one of the most completeblockchain-based energy trading pilots to date — by adding batteries into the mix. Sonnen’s decision to join the NEMoGrid project in Europe is thought to be the first instance of a battery vendor taking part in a blockchain energy trading experiment. The project will look at the economic and technical impact of electricity trading between households within a region, said Sonnen in a press release. According to the NEMoGrid website, the project will evaluate three business models: centralized utility management, decentralized voltage and power-based tariffs, and a peer-to-peer market using the Ethereum blockchain for transaction recording. One of NEMoGrid’s aims is to investigate the interaction between electricity tariffs and peer-to-peer trading, as well as the impact of trades on the stability of local distribution grids. “The goal of energy supply must be to generate as much clean energy as possible right where it is being consumed,” said Jean-Baptiste Cornefert, managing director of sonnen eServices, in press materials. Battery storage is seen as being a key ingredient in helping to maintain this grid stability and pricing flexibility, soaking up excesses during periods of high energy production and returning it to the grid when demand outstrips supply. Blockchain technology, meanwhile, will give residential participants and distribution grid operators a single, distributed ledger of all energy transactions, while reducing the cost of trading. NEMoGrid was set up a year ago with funding from the European Union’s Horizon 2020 research and innovation program, and support from the German Federal Ministry for Economic Affairs and Energy, the Swiss Federal Office of Energy and the Swedish Energy Agency. Besides sonnen, the project involves three European universities, a customer-owned rural distribution grid operator, a smart home platform developer, the blockchain company Slock.it and a nonprofit organization owned by the Swedish Association for Energy Efficiency, Effekt. NEMoGrid is due to last until April 2020. It is unclear if other organizations will join the project. 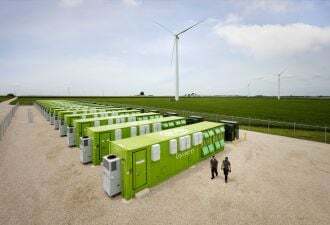 As for sonnen getting involved, “I expect the rationale feeds into sonnen's commitment to offering a platform for electricity trading,” said Brett Simon, energy storage analyst at GTM Research. Sonnen already has an electricity trading offering within its sonnenCommunity program, he noted. “The ability for residential customers to sell electricity to one another is something that's discussed a lot in the electricity market in general, and more storage players are discussing and planning for how they can get in on the action,” Simon said. 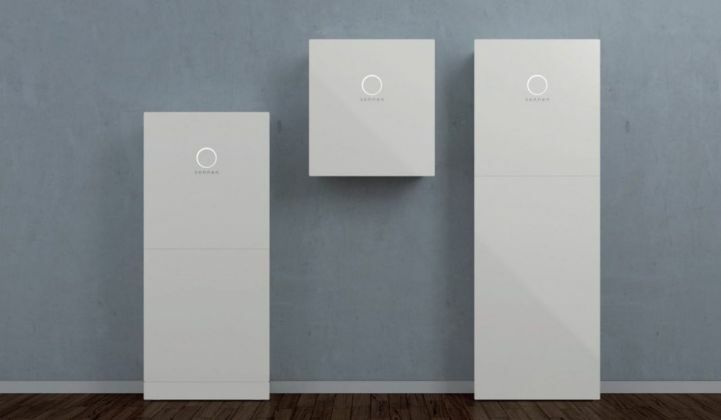 Finding ways to improve the economic case for residential energy storage is a smart move for sonnen, as it could help the company unlock new battery sales opportunities, Simon argued. Another reason for the battery company to get involved in blockchain-based energy trading is that the market for residential storage is scaling up quickly. Last December, for example, sonnen announced plans to equip around 2,900 households with batteries as part of a deal with property developer Mandalay Homes, in Prescott Valley, Arizona. “Long-term, these types of deployments create opportunities for provision of grid services and possibility electricity trading, which will provide factors to further improve the economic case and scale the market,” Simon observed. Although NEMoGrid leads the way in its use of battery storage, it is far from the only blockchain-based energy trading pilot currently in progress. In Brooklyn, New York, for example, blockchain startup LO3 Energy has been testing a local energy trading platform called the TransActive Grid for a couple of years. Siemens joined the project in November 2016, via its Digital Grid division and next47, a unit launched to foster disruptive ideas and accelerate the development of new technologies. In July last year, meanwhile, the Japanese utility Tokyo Electric Power Company took a major stake in energy trading system developer Conjoule, which is beta-testing its blockchain-based peer-to-peer platform with a restricted number of users.